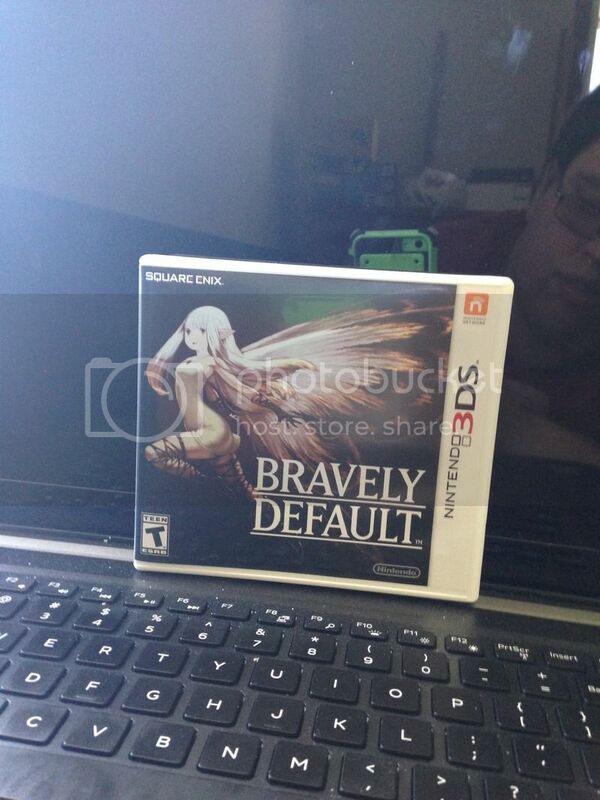 Today I'm buying Bravely Default! Do you guys think it's a good choice? I saw some gameplay and I like older school RPGS and this game looks like it will fit right up my alley so should I get it? If you still have time, you can give the DEMO a try (which has additional content when you upload the sava data to the game itself). Already have it the demo is fun and I think this game will be worth it. Good! :] If you liked it, then by all means BUY IT! Haha :thumbsup: The game is VERY enjoyable. One of my favorite features is how you can speed-up battles. I'm at my gamestop right now ^_^ 40 mins till I can get my copy! update! Look what I have! I really, really wanted to like Bravely Default. It`s music was pretty good and the character felt fascinating. After somewhere past 20 hours, I just had to stop. The grinding was just too much for me. I was grinding for a boss in one evening, and I just looked at the game and wondered did I really want to spent my spent my spare time grinding hours for a boss. But I think I belong to minority here. I hope you enjoy your trip to the fascinating world of Bravely Default.